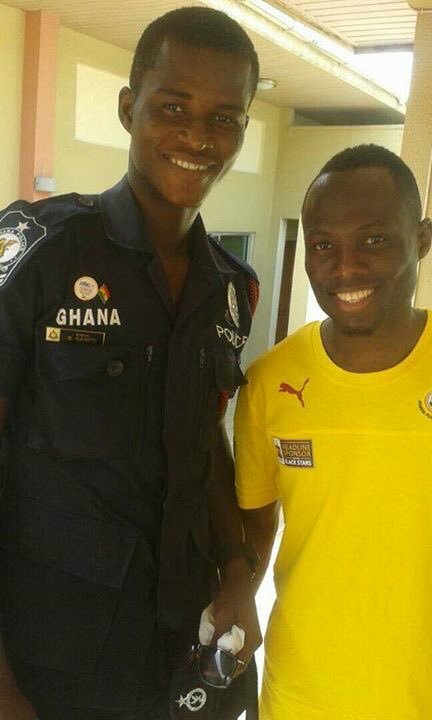 The Ghanaian press has been giving its judgement of a policeman who played for the Ghanaian national team this weekend. In 2016 Samuel Sarfo was one of the policemen deployed to provide security for the Black Stars during the Afcon qualifier against Rwanda in 2016. But on Saturday he played for the national team against the US in a friendly match. The Black Stars lost 2-1 against the US on Saturday. The 26-year-old was an amateur footballer with local amateur side, Liberty Professionals FC.